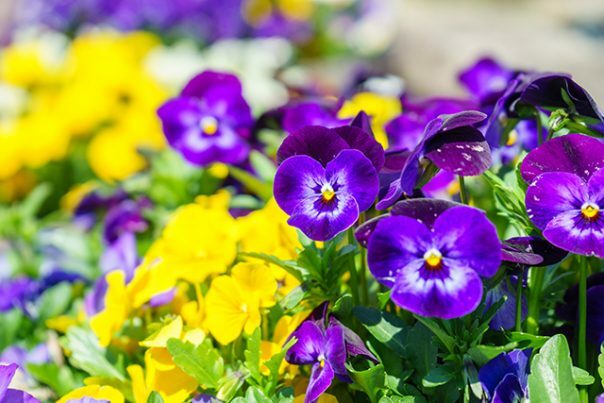 Pansies are gorgeous tri-color herbal plants that are mostly used as home decorations. The flowers’ name is derived from the Middle French term, “pensée” which roughly translates to “thought”. It was assumed that the flower’s three colors represented the following: memories, loving thoughts, and souvenirs. As such, gentlemen from the olden era used to give pansies to their children or to their most cherished lovers. Those familiar with botanical lore would also recognize pansies as representative of love or the heavy hearts of separated lovers. It is no coincidence that pansies come in a myriad of shocking, and often melodramatic, hues — each shade indicative of the insurmountable pain and pleasure that only true love can afford. Pansies were often used as a main ingredient in love potions. It also was known as heartsease, Ladies’ delight, Wild Pansy, and Field Pansy. Contemporary depictions of the brilliantly-hued flower include those in the 1951 Disney classic, “Alice in Wonderland” where a group of pansies made fun of Alice for being a weird-looking weed. Traditional healers prepared pansies as a tea to rid the body of “lovesickness” ailments, which were mostly respiratory in nature. Conditions such as asthma, bronchitis, and whooping cough were thought to be symptomatic of a broken heart. Jilted lovers and/or distressed individuals would also complain of aches and pains as well as an excess of phlegm in their system. A tonic made of pansies would help alleviate these conditions, although did nothing to bring their lost love back. On a more scientific level, however, herbal doctors prescribe pansies as an effective treatment for high blood pressure and as a relief against heart pain. Pansies can be used to alleviate symptoms of rheumatism and arthritis as well. This is because the plant contains potent anti-inflammatory properties. This makes the plant an ideal treatment for bruises and broken capillaries. Some healers believe that pansies can be used to treat epilepsy and some forms of bladder infections like cystitis. Pansies support skin health. The herb is primarily used to reduce skin conditions caused by inflammation or swelling. The plant is additionally used to soothe the respiratory tract and relieve minor pains found in the cardiovascular system. These plants have a mild, fresh flavor, which becomes more prominent depending on how much of the flower you use, and which variety you decide on. The easiest way to take pansies is as a tea. Make sure to use only flowers that are organically-grown. It is best to grow a batch of pansies to ensure the quality of your tea. You can also decide to use pansies as an added ingredient in a fresh salad. Combining it with lighter meats such as chicken gives a refreshing taste to the dish. Some people prefer to just grind the pansy and use it as a poultice. This is suggested for those with acute skin problems. Pansies soothe the broken heart — both literally and figuratively. Ancient healers would prescribe the herb to alleviate symptoms of lovesickness, which included bronchitis and heart pain. Scientific reviews have validated the potency of pansies in reducing inflammation. The plant is an effective alternative treatment to various skin conditions.